I went to a gf cooking class put on by the Family Network, and Gary shared this amazing multi-grain bread with us. After I took a bite I thought this is possibly the first time I’ve enjoyed gluten free bread for it’s flavor. 3. Mix all wet ingredients together in a separate bowl. 4. Add all wet ingredients to dry mix and slowly mix until blended. Beat on high for 2 minutes. Dough may be runny. 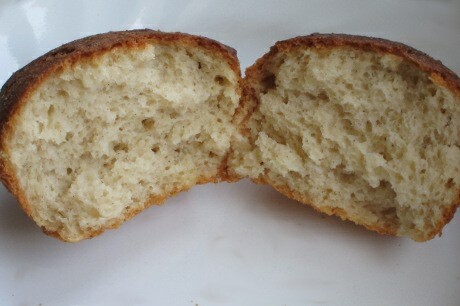 For rolls divide the dough into 12 equal balls and let rise in a muffin pan.